Jane Leslie & Co. Five stars, everyday! Rabbits and radishes go together—just ask Peter Rabbit. 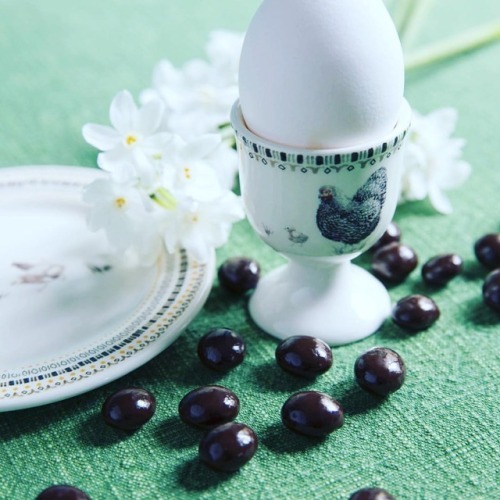 Our Hopper Rabbit is decorated with shimmering hand-painted capiz and accented with a radish and a Courtly Check® bow. 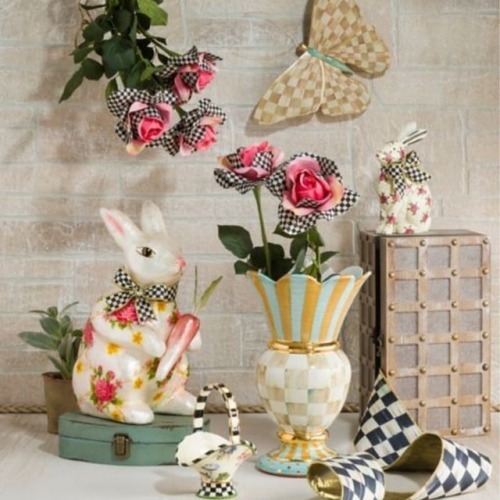 The perfect way to say hello to spring, he makes an adorable addition on the counter, sideboard or entry table. Our Funny Bunny is one curious critter. Hand-painted in our signature Courtly Check® pattern and finished with gilded gold ears, this little guy will hang off the edge of your indoor planters for that extra Easter touch. Hand-painted resin. Pieces may vary due to the handmade nature of each product. Imported. Wipe with soft damp cloth. Rabbits and radishes go together—just ask Peter Rabbit. Our Runaway Rabbit Table Runner is a medley of glass beads telling a springtime story of hopping through the garden, surrounded with a border of black and white beads. 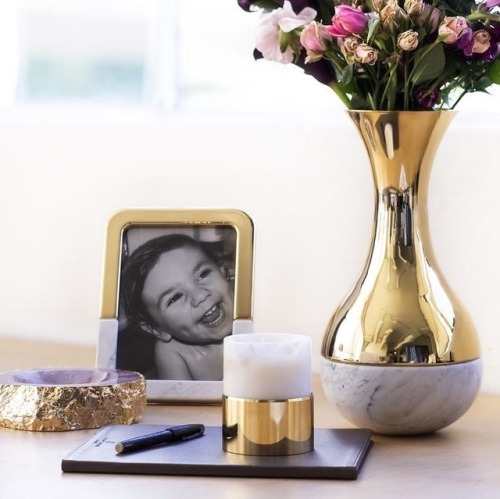 Place it down the center of a table or on a sideboard as the first layer of a showstopping display to welcome spring. Polyester with beading. Pieces may vary due to the handmade nature of each product. Imported. Our fresh Green Tisket Tasket Basket is decorated with shimmering hand-painted capiz and accented with dimensional flowers of capiz chips with pearl bead centers. Use it as an Easter basket, filled with all sort of treats, to create a special tradition for your little bunny. Make mealtime fun with our happy designs. Each Bunny Toddler’s Dinnerware Set includes a BPA-free melamine sectional plate, bowl, and two-handled sippy cup, plus a fork and spoon, all nestled in an extra-special matching gift box with latch closure. A fun gift for baby. Includes 1 compartment plate (8.5" dia. ), 1 bowl (6.5" dia. ), 1 cup (3" dia., 9 oz. capacity), 1 fork (5.5" long), 1 spoon (5.5" long), and 1 box. Dishwasher safe (top shelf), although we recommend hand-washing. Do not use scouring powders, as they will scratch the surface. Not microwave safe. Avoid exposure to hot objects or prolonged exposure to boiling water. Whistling while it works, the Flower Market Whistling Tea Kettle lets you know when your water is ready. So pour yourself a cup of tea or fire up the French press, because when you hear that pretty sound, you know your day is about to get a little bit better. Hand decorated with a bouquet of floral decals over a heavy-gauge steel underbody, it also serves to beautify your stovetop even when it’s not in use. Heavy-gauge steel underbody, hand-glazed with hand-applied transfer decoration.Pieces may vary due to the handmade nature of each product. Imported. Before using your kettle for the first time, remove all labels and wash thoroughly. Use low to medium heat only; never boil dry, as this could cause damage toboth your kettle and cooktop. Do not use on induction cooktops. Hand-wash withmild soap and dry immediately to preserve the finish. 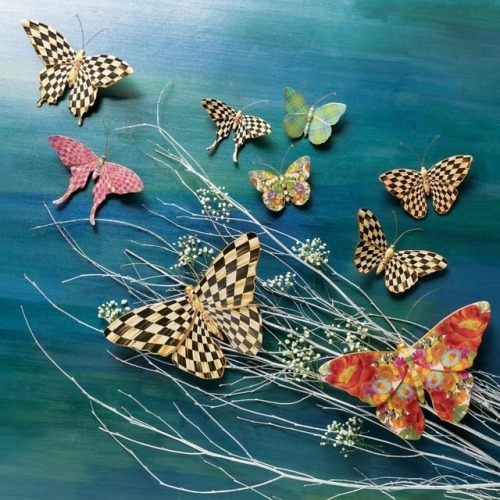 Take a flight of fancy with the Garden Butterfly Duo. Featuring transfer decorations of our signature patterns on the gold-edged wings of two butterflies and more floral transfers on their bodies, they’re topped with wire antennae. An adjustable metal hanger on the back lets you hang them on the wall at different angles. Set of two. Polyresin with decals. Pieces may vary due to the handmade nature of each product. Imported. Order "Yours and Mine" Design for someone and a gift for yourself. Event in store 570-714-9955 or email us for 50 for $99. Getting ready for Spring splendor. Start the day with Gien! French expressions for your table!